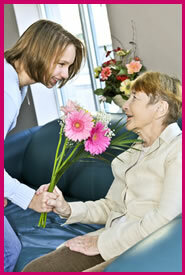 We have several Care Facilities in the Bay Area which offer the most serene and comprehensive care available. We strive to minister physical, mental, medical, and emotional support to those in need of a nurturing environment. Our staff is sympathetic to the concerns and issues of family members as well, taking the worry and stress out of caring for a loved one. Extensive experience in all disabilities makes us the choice for safe, secure, serene care and nurturing. We can accommodate your financial situation and budget restrictions. We match our clients to the most cost-effective care facilities. Our food is nutritious and succulently prepared. Whether your concern is the geographical location or the quality of services, you have several options with us. We don't just leave you to decide on your own. We'll provide you with the most useful information to help you make the best decision. If you want to know more about our services, you may reach us anytime through - (925) 302-9290. Bay Area Care's operation, focus, familiarity and clientele for Care Homes, Senior Placement and Caregiver Agency are offered to residents in the entire bay area. We bring the service to you where you need it.